Rectangular shaped wooden made and designed with brass and resin dry fruit containment box to woo the beauty of your table top! Made of wood & resin, this rectangular shaped box is a vivid example of perfect blend of art & craftmanship. You can easily enlighten the Read More..mood of your near & dear ones by gifting this dry fruit box. 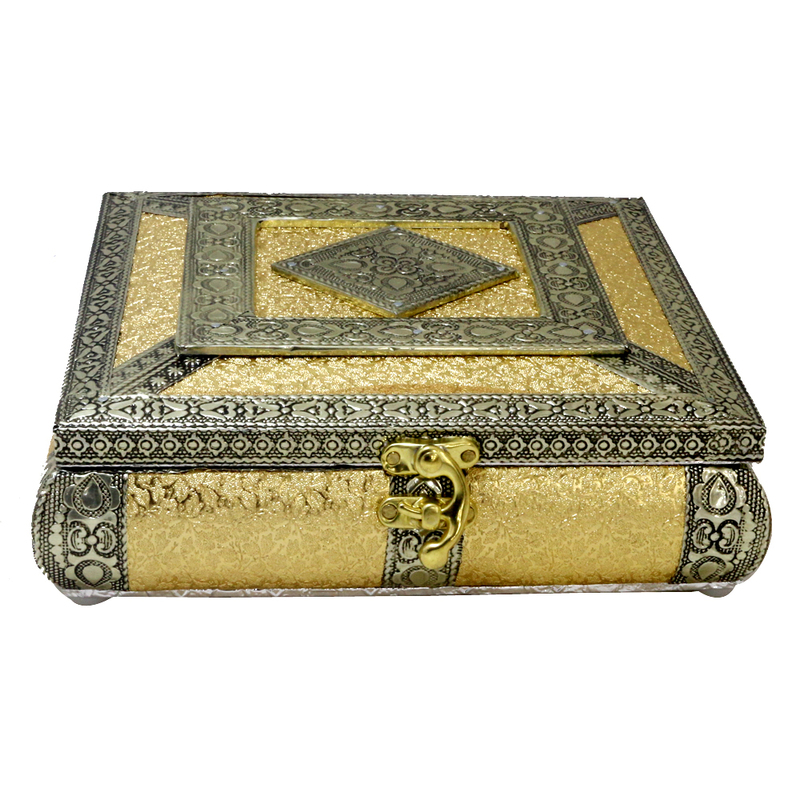 Lid of the box is specially inscribed with unique brass design which adds special attraction on it. Show Less..